SHIPS FREE!!! 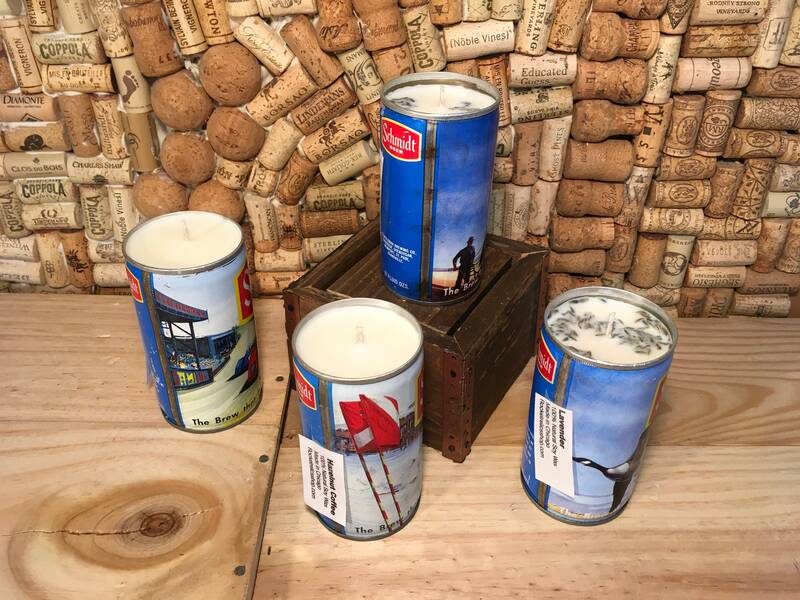 The beer cans in the 70's were made of steel, so they don't get too hot when you burn the candle. These are the 70's Schmidt beer cans from their collectors series. Choose which one you prefer by using the drop down menu. Race Car can: It is filled with premium soy wax in our Sweet Basil Bergamot scent. This fragrance has top notes of bergamot, middle notes of sandalwood, and base notes of cedar and sweet basil. A best seller! Horse Team: This is filled with our Lavender scent. We use a French Lavender oil which is stronger than normal Lavender. I find the heaviness of this translates well to the scent throw in my candles. Relaxing! Geese: This can is also filled with our Lavender scent! This is filled with our Lavender scent. We use a French Lavender oil which is stronger than normal Lavender. I find the heaviness of this translates well to the scent throw in my candles. Relaxing! 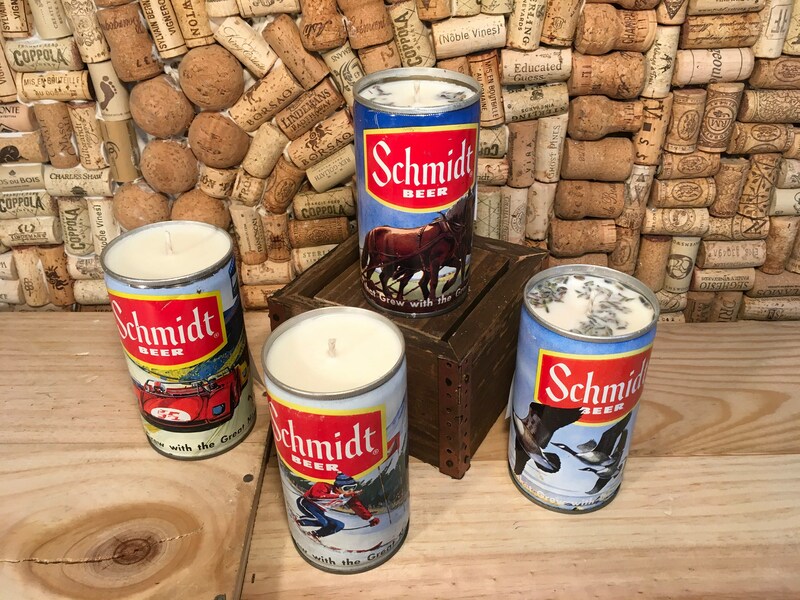 I have another listing of five Schmidt cans. 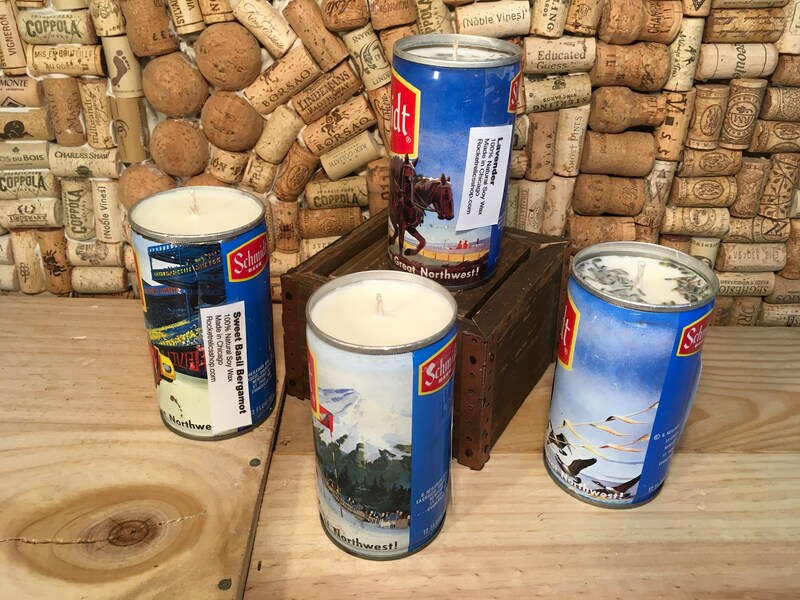 Check out my "vintage beer can candle" section of my shop!